Vlerick Business School – Have you ever heard of a business school with a difference? Vlerick business school is one with such difference. It is a business school with world-class education programmes that can take you to a higher level. It is a school that is internationally recognized. I believe you will not want to miss the opportunity of schooling here. Read on and you will gain more info about the school. Vlerick Business School is a leading international business school… with a difference. Yes, we offer fully-accredited, world-class education programmes combining a healthy mix of theoretical knowledge and practical insight. Yes, we are a leading academic institution with a strong tradition of innovative and independent research. Yes, we boast internationally recognized, expert faculty with close ties to the corporate world. And yes, we are consistently ranked amongst the top business schools in Europe and the world. However, what truly sets Vlerick apart is not just what we do but the spirit in which we do it. The Vlerick spirit is defined by openness, vitality and a passion for innovation and enterprise. It is a spirit that can be found in every aspect of our school and its activities: from our enthusiastic, highly motivated staff to our innovative and pragmatic teaching methods; from our global network of students, alumni and corporate partners to our inspiring, vibrant campuses. In 1953, professor, politician and entrepreneur André Vlerick founded the Centre for Productivity Studies and Research at State University of Ghent, which in 1983 becomes an autonomous school called the Instituut Professor Vlerick voor Management. 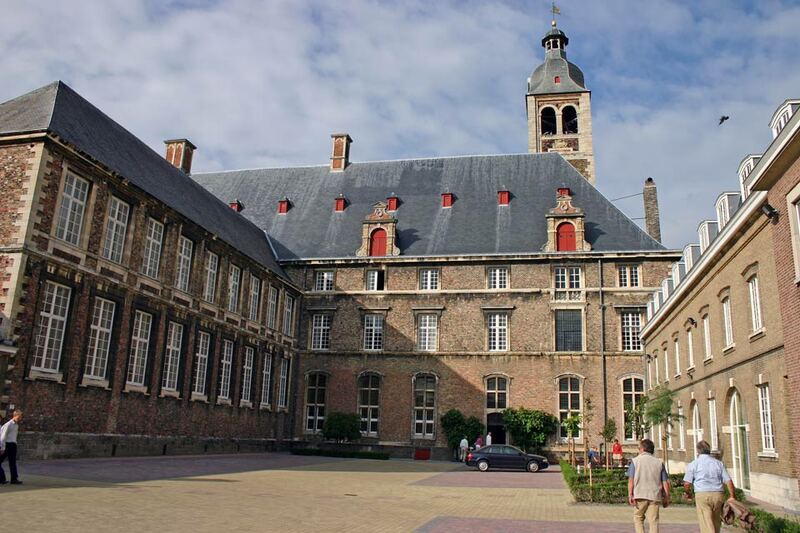 In 1968, the Catholic University of Leuven created an international MBA programme, later organised by the Katholieke Universiteit Leuven. In 1999, both universities merge their MBA programme, creating a new institution named Vlerick Leuven Gent Management School and established in Leuven and Ghent. In parallel, the UGent and KU Leuven continue to offer graduate courses in management and business administration in their faculties of Management and Business administration. In 2006, Vlerick opened its campus in Saint Petersburg, and in 2013 its Brussels campus, in Saint-Josse-ten-Noode. In 2012, Vlerick Leuven Gent Management School changes its name and becomes the Vlerick Business School. Vlerick presents itself as being the oldest business school in Europe, though in 2018, it is legally speaking the most recent one founded in Belgium. Vlerick Business School holds three international accreditations: the American AACSB, the British AMBA, and the European EQUIS. The Economist magazine ranked Vlerick number 47 among global full-time MBA in 2010. Financial Times ranked Vlerick number 15 amongst European business schools in 2015. The MBA program ranked number 100 out of all global MBA programs in 2014 according to the Financial Times. The EMBA program ranked number 82 amongst global EMBA programs in 2018 according to the Financial Times. The Masters in Financial management program ranked number 26th worldwide in 2018 according to the Financial Times. Within a couple of days, we will inform whether your application file meets our criteria and is complete. We will invite you for the admissions test and/or interview, depending on your application procedure. You’ll receive your timeslot for the VBAT or an invitation for your interview. The interview is conducted in person, via Skype, or over the phone. You’ll receive your admissions decision by e-mail within two business days for the VBAT or within two weeks for the GMAT/GRE. If you ‘re not admitted, you’ll have the opportunity to ask for feedback and reapply once for the same intake.